Senior litterateur Manu Brajaki passed away Friday morning at the age of 75. He was being treated for brain hemorrhage at the Patan Hospital, according to litterateur Sunil Puri. He is survived by his spouse, one daughter and one son. 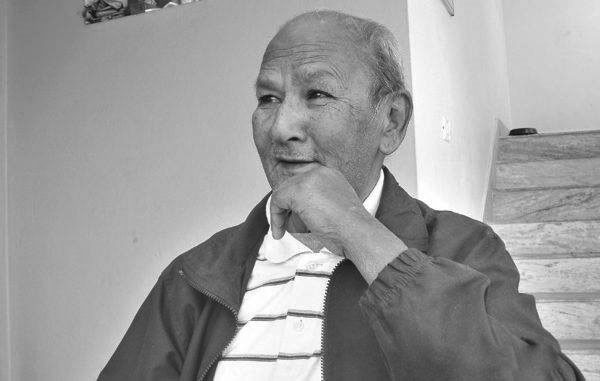 “Timri Swasni ra Ma” and “Annapurnako Bhoj” are among famous collections of stories written by Bajaki, a well-known author in the Nepali literature. He has written many newspaper articles on contemporary issues and was perfectly competent in gazal writing. Renowned novelist Manu Brajaki has passed away. The 75 year old ace writer breathed his last on Friday morning. Brajaki was undergoing treatment at the Patan Hospital after suffering from brain haemorrhage. He is survived by his spouse and two children- a son and a daughter. The late Manu Brajaki was known not only for his fictional works but also for his keen penmanship on contemporary issues. मनु ब्राजाकी भन्नेवित्तिकै उनलाई चिन्ने र उनका बारेमा सुन्नेहरूका मस्तिष्कमा एउटा चित्र नाचिहाल्छ, रक्सी खाएर खुट्टा ठेगानमा नटेकी हिँड्ने, केही रुपियाँ पैसा मागिहाल्ने स्रष्टाको। हो पनि उनले हिजोका दिनमा कति पिए, पिए रक्सी। भन्छन्, 'रक्सी त कति खाएँ, खाएँ तर मात्नका लागि होइन।' केका लागि त ? 'चिन्तनका लागि', मनु भन्छन्, 'लेख्नका निम्ति चिन्तन जरुरी छ, चिन्तनका लागि एकाग्रता आवश्यक हुन्छ।' यही एकाग्रताका लागि रक्सी पिएका हुन् रे उनले! रक्सी पिएपछि एक प्रकारको ऊर्जा उत्पन्न हुन्छ रे! र त्यो ऊर्जाका कारण उनी पटक पटक सडकमा राखिएका बिजुलीका पोल र जनावरसँग ठोक्किएका छन् रे! 'तर मान्छेसँग अनावश्यक झगडा रक्सी खाएर कहिल्यै गरिनँ', उनको भनाइ छ। त्यसो त उनले रक्सीलाई ऊर्जा र चिन्तनको स्रोतका रूपमा मात्र प्रयोग गरे रे! मनमा पर्दा लगाएर बसेका छौं किन ?